Everest View Tour one of the mesmerizing day sightseeing hiking pleasure trip across a unique Himalayan culture along with sights of Mt. Everest and nearby world’s highest mountain Ariel landscape in the Everest region of Nepal. Everest View Tour route is very well known, Mt. Everest (8848m) is most popular everywhere in the world, situated in Solukhumbu district of Nepal. 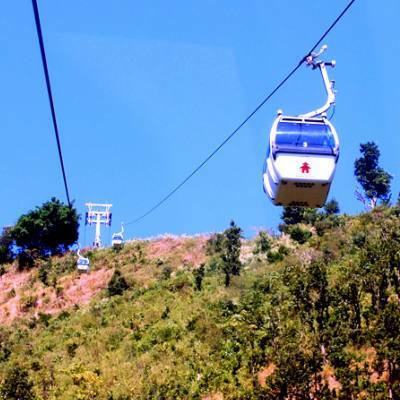 A large number of tourists discover the Mt. Everest every year from all over the world. There is an unlimited tourist destination for the adventure lover, easy trip seekers as well as who want to explore monster Himalayas at the quick time. We offer Everest View Tour with the most glorious of the Himalayan landscape, local Sherpa culture, flora, and fauna, unbelievable closest view of Mount Everest, it is the highest peak of the world. This Everest View Tour also suitable for family, old age group like 60 to 75 age, students and other travelers. 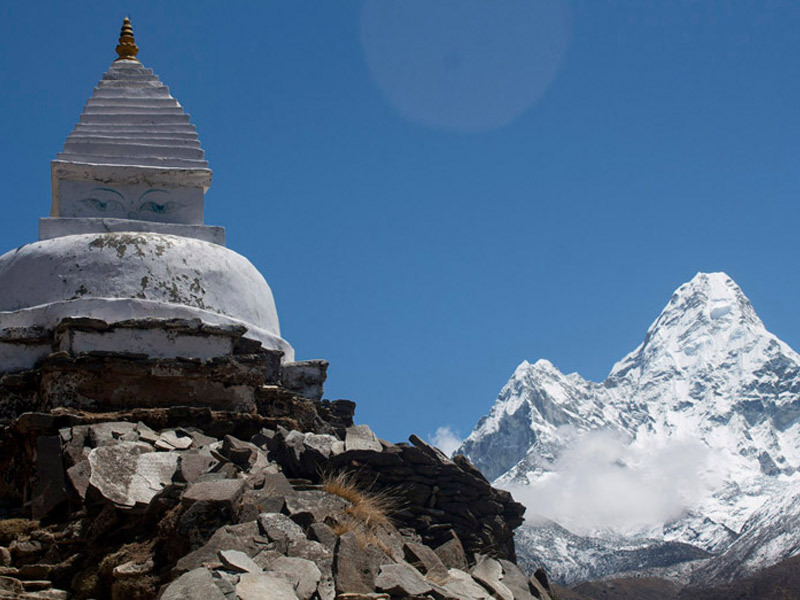 While touring to Everest, the travelers can get awesome opportunity to observe the very famous another peak nearby Everest namely Lhotse (8,516m), Nuptse (7,855m), Cho Oyu (8,201m), Amadablam (6,812m), Thamserku (6,623m), Khumbutse (6,665m), Changtse (7,580m), Pumori (7,165m), Chhukung (5,833m) and many of the world’s highest mountains. Everest View Tour is one of the best luxuries holiday package trip around the Everest region of Nepal which is specially designed for luxury holiday seekers. Thence, the Everest view tour is different than other Himalaya tour in Nepal. We Nepal Glacier Treks and Expedition offer 11 days Everest View Tour to all interested visitors. The best affordable price package with a quality service which is specially designed for holidaymakers in Everest, want to do an adventure with Mount Everest. This is a fixed departure Tour, which is led by our professional guide, and we used cheerful porters for carrying our luggage up the mountain. Our company, all staff is insured and we used always first aid trained field staff. We should take a TIMS card (The Trekking Information Management System), Sagarmatha National Park entry permit and necessary essential documents. For this tour, the best season is the end of September to mid- December and March to May, during this time the weather is clear, warm and the view can see clearly. During the tour, our company provides the best tea- house accommodation in the Everest. Everest View Tour Starts/ ends from Kathmandu, maximum walk 4- 6 hours and minimum 3- 4 hours each day in the mountain. It is a customized tour, if not really satisfied from this itinerary you can make own. We have been servicing more package in the Everest region, please click here Everest Tour and choose the right one which is suitable for you. Two nights 3- star hotel accommodation in Kathmandu on bed and breakfast basis. Guide and porters daily salary, foods, lodges, insurance also. Tea house/ lodge accommodation (we provide dinner, lunch, and breakfast) in the mountain during the trek. Hot drinks (boiled water, coffee or tea) three time each day. All necessary Everest National Park entry permits and TIMS (Trekking Information Management System) card. All government, official and local service taxes. Lunch, dinner and extra accommodation in Kathmandu. Excess luggage fees on a hotel. Any personal expenses (alcoholic and cold drinks, STD, ISD calls, bar bills, battery recharge and any kind of unforeseen expenses). Any other expenditures which are not listed in the cost included section above. Day 01Arrival in Kathmandu (1,350m/ 4,429ft)We welcome you at the airport of Kathmandu, our representative waiting outside with your name and after receiving your transfer to respective hotel. We discuss the trip, introduce with the tour leader, you can ask any question during the meeting. Your overnight stay at a hotel in Kathmandu. Day 02Fly to Lukla, hike to Phakding (2,650m/8,695ft) 3- 4 hoursToday in the morning, you flight around 35 minutes from Kathmandu to Hillary airport at Lukla. After landing, you meet other field staff who is waiting for you, preparing all things and starts hike towards Phakding through the Cheplung village from there we can get a chance to see the vista of Mount Khumbila (5,761m) where no one climbed yet. From there, we slowly go downhill till reach Phakding and overnight stay at the guesthouse. Day 03Phakding to Namche Bazaar (3,440m/11286ft) 5- 6 hoursOur journey moves up towards the north valley of Benkar through a beautiful lush pine forest. After crossing the Dudh Koshi River and passing Monjo village, we get Sagarmatha National Park. From there, we cross a suspension bridge, pass the Jorsale village and trails goes up beside of Bhote Koshi and Dudh Koshi Rivers. We reach the major heartland of Sherpa village- Namche Bazaar after one hour a steep ascent. If the weather is clean, you can get awesome chance to view the Mt. Lhotse and Mt. Everest. 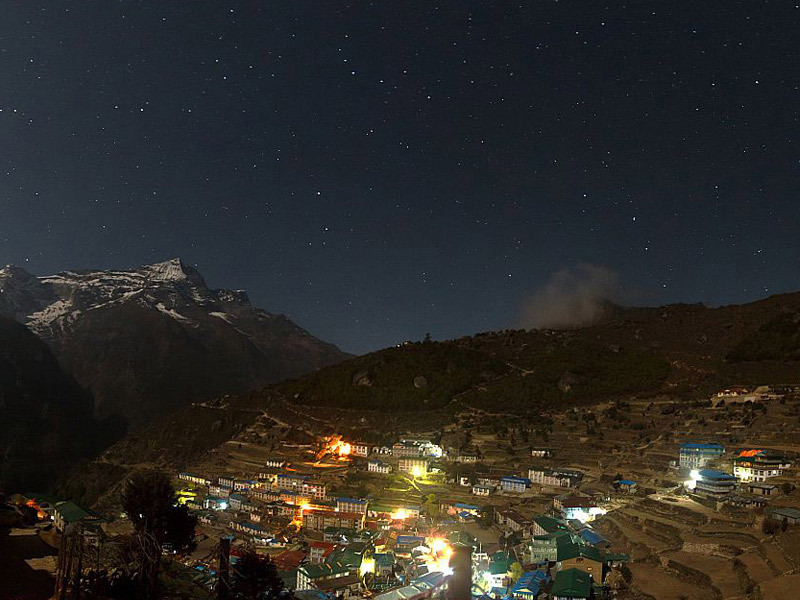 Your night in a beautiful village of Namche Bazaar. Day 04Acclimatization Day in Namche BazaarToday, we have an enough time for acclimatization in Namche Bazaar is the major heart of the Khumbu region. We can get all facilities such as Internet, restaurants, ATMS, Cafes, local colorful markets, Shops, and much more around there. A short hike to Sagarmatha National Park, where trekkers view the sights of sunrise and a beautiful highest peak of Mount Everest, Ama Dablam, Kongde, Lhotse, Thamserku, Chusung and more other unnamed mountain range. During the same day, we also hike to Syangboche village- a typical settlement Sherpa village. Exploring traditional Sherpa culture and life, Hillary school, a beautiful flora, and fauna and then back to the hotel for the overnight stay in Namche Bazaar. Day 05Namche Bazaar to Khumjung village (3810m/12500ft) 4 hoursThe trekking starts with a steep ascent up from Namche Bazaar to the very popular air field at Syangboche. 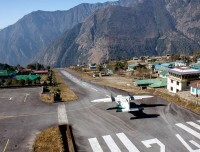 From there, a little bit up the airstrip, Everest view hotel from where we can get a huge opportunity to observe the Mount Everest. 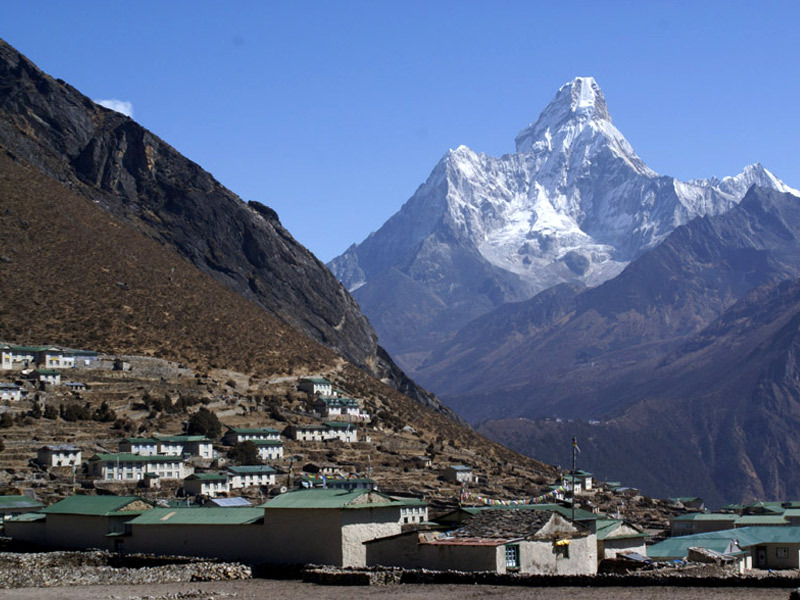 The trekking continues to Khumjung village which is enclosed by Mount Thamserku, Khumbila, and Kongde. 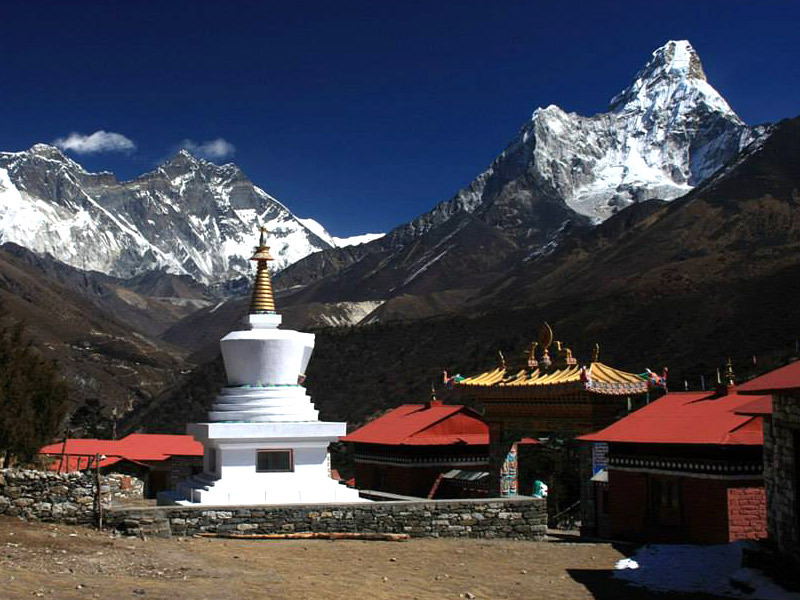 When we reach there, then we visit Khumjung Monastery, which is famous for the head of the Yeti housing and Edmund Hillary School. The overnight at a guesthouse in Khumjung village. Day 06Khumjung to Tengboche (3,880m/12,730ft) 4- 5 hoursOur trekking moves down to Dudh Koshi River through a typical village and lush forest path. Again, we start to ascend around two hours through lush greenery fir and pine forests to grasp a beautiful small village of Tengboche. 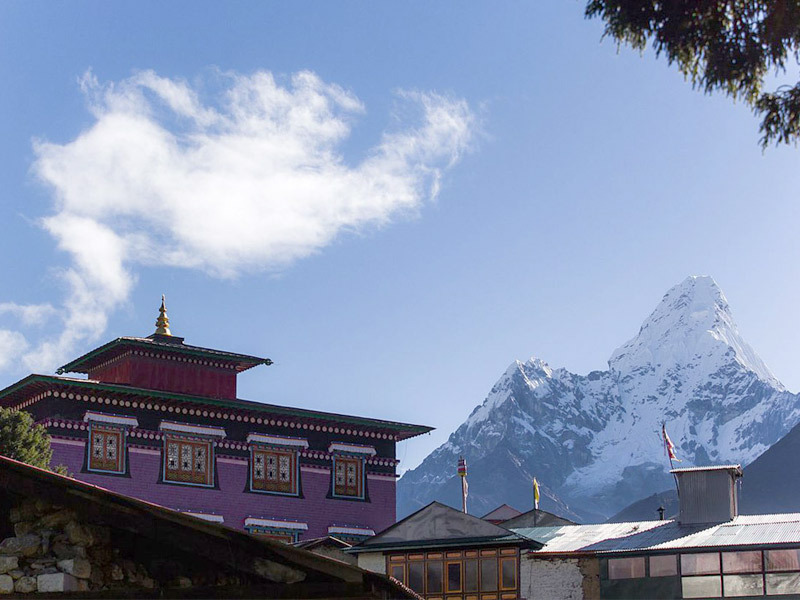 This village is the home of the popular Tengboche monastery, which is located at 3,867 meters and it is one of the largest monasteries in the Everest region of Nepal. We do tours around the monastery and enjoy a stunning Himalayas view of Mount Everest, Lhotse, Nuptse, Thamserku, Ama Dablam, and Tawache. We spend the overnight in Tengboche. Day 07Tengboche to Kenjoma (3,580m/11,746ft) 4- 5 hoursOur trek goes down about 600 meters towards the Dudh Koshi River through the Fir trees and beautiful rhododendron bushes. Passing Tashinga and Sansa village, we walk continue before reaching the village of Kyangjuma. When we reach there, then appreciate to stunning views of the Himalayas such as Ama Dablam, Lhotse, Nuptse, Thamserku, and Everest. Overnight at guesthouse in Kyangjuma. Day 08Kenjoma to Monjo (2,850m/9,351ft/) 4- 5 hoursOn this day, we reach Namche Bazaar first, the trek continues to Monjo through the steep wooded trails and several bends. 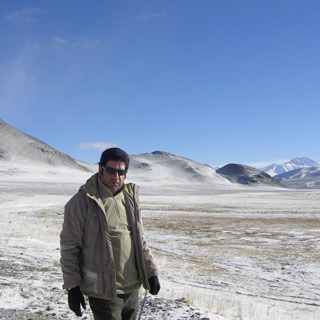 During the trek, we can see a rare and beautiful wildlife such as Himalayan Tahr, Pheasants and snow leopards, more. After passing forest trails, a steep descent walk and crossing the suspension bridge over the Dudh Koshi River. Before reaching Monjo, we must cross the Dudh Koshi River twice a day at separate places. We spend the overnight at a guesthouse in Monjo. Day 09Monjo to Lukla 5- 6 hoursThe path goes down steeply before its end up to the airfields in Chauri Kharka is the last climb of the trek. On this day, again we pass the village of Phakding and Chopling. The local staff who you met in Lukla, they are not going to Kathmandu with you. Today is the last day in the Everest, you celebrate your Everest view tour together. After celebrating, you stay at the guesthouse in Lukla. Day 10Fly back to Kathmandu Early in the morning after breakfast, we take a flight to Kathmandu from Lukla. Our tour leader drops off you at your hotel in Kathmandu and the rest of the day, you can visit around the streets in Thamel which is a very popular tourist hub in Kathmandu in Nepal. During the stroll, you also can buy some souvenir for your family, relatives, and beloved one. 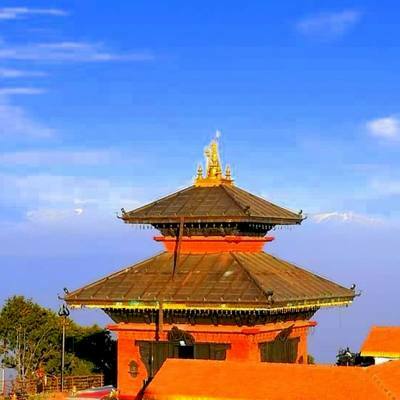 You may also tour famous tourist attraction nearby such as Hanumandhoka Durbar square. In the evening, we will be a farewell dinner and celebrate the successful end of our trip. Most importantly, we will plan your next adventure trip in the ideal country of Nepal Himalaya. You spend the overnight at hotel in Kathmandu. Day 11Final DepartureThis is your last day of the package in Nepal. Our representative from Nepal Glacier Treks and Expedition will drop you at the Tribhuvan International airport (TIA) around three hours earlier your schedule of flights. Hope to see you soon again in Nepal and have a nice journey. Dear all respected visitors, first of all, please read “TRIP INFO” before departure home and mountain as well as booking. Please ensure that 4 passport size photographs, 6 months valid passport and its some copies, your travel insurance, and international two-way flight tickets. We hearty request you, please book your Everest View Tour as early as possible because we want enough preparation time for your trip. If you give us time, we should book the best hotel in Kathmandu and Everest for your tour. If you book late, sometimes very hard to find the best hotel around Kathmandu and Everest region in the season. The most important things, if you need any special services which are not mentioned our package, make sure that you have informed us what you want extra services at the time of Everest View Tour booking. This is a customized tour, if really not satisfied from this itinerary, you can make own and drop your email to us. If you like or book any other tailor made tour which is not listed on our website, please informed that and we will design it for you. Now, sometimes trip can be canceled due to the different unforeseen causes such as natural disasters, strikes, and any other issue. But we can arrange alternative tour itinerary which is looking your interest and discussing, otherwise, we will keep booking for next season or may continue some month later. Lastly, sometimes the flight Kathmandu to Lukla to Kathmandu may cancel due to the reason of weather condition, technical problem, flight delay and other issues. You do not worry, we will solve the matter and anyhow you will reach your destination but it can take several times. All matter will manage at the right time by our trek leader in the mountain. This is a little information and hopes you understand what we provide. Hope you will enjoy the Everest View Tour.